On Monday night, HDNet Fights CEO Andrew Simon announced the high-definition network had signed a multi-fight broadcasting deal with ProElite. Their new partnership will begin with ProElite’s November 5th show. “The Voice” Michael Schiavello, Ted Gruber and Frank Trigg will rock the mic for ProElite cards. In addition, a replacement for injured Pedro Rizzo was confirmed. 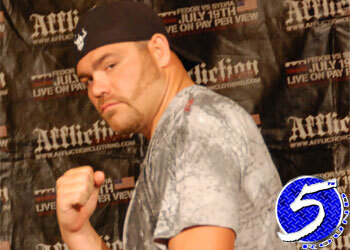 Heavyweight Andreas Kraniotakes has agreed to face former UFC champion Tim Sylvia (Pictured) in the night’s featured attraction. The opening round of the company’s eight-man heavyweight tournament will also kick off during the event. “ProElite II: Big Guns” takes place inside the iWireless Center in Moline, Illinois.